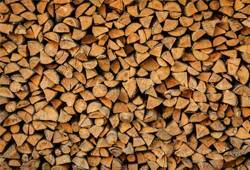 Ever had to wait for logs to dry out before you could use them? Ever muddied up a recently-cleaned floor after walking in with soaking wellies? We have just the solution with this, the Firewood and Wellie Rack, an innovative storage option! Made from solid, long-lasting timber, this sturdy unit takes your firewood off the ground, alleviating mould and protecting from damp. Quickly pull out the 2 x strong shelves and place your wellies to let them dry off outside, or even use the unit as a store for smaller garden tools.